Finance Costs > How Much Does an Accountant Cost? Whether you want to get your taxes done by a professional, or you want to have a company do your payroll, you may be considering an accountant in your area. While many accountants specialize in particular sectors, the prices will vary depending on the state you’re in, the work needed to be done and the accountant you choose. On average, an accountant will charge anywhere from $125 to $425 an hour. The costs are hard to pinpoint because there are so many variables involved. This will include the amount of work needed to done, the size of the firm, who you hire and geographical location. For instance, if you don’t have to itemize and you run an LLC, your costs would be lower if you had to itemize and you had 100 investment transaction. To offer a scenario: Those who have a decent set of records and feel organized, plan on spending $800 to $2,000. If you had a lot of fixed assets, an additional $200 to $400 could apply. There are basically three levels of accountants: a clerk, who will be the accountant’s assistant, a professional bookkeeper, a professional can do everything a CPA can do with the exception of taxes, and lastly, a CPA, the highest tier who can do anything tax related. A clerk could cost $20 to $40 per hour, while a professional bookkeeper could cost $40 to $110 per hour. A CPA could command $125 to $400+ per hour as noted above. According to the National Society of Accountants survey, the average price to file a 1040 with a standard deduction was $273. A good account accountant will consult with you for a certain period of time. On average, your initial meeting should last around one hour and this is the time where you will discuss what needs to be done. With this information, a service and/or accountant will be able to offer an estimate. An accountant will be able to offer advice, choose the appropriate business structure, determine your needs, set up a system, prepare tax returns, help you save money on taxes, interpret your statements, assist with budgeting, analyze cash flow, and even help with inventory management. They should help answer questions, prepare your taxes, advise you on where you can cut costs and how to save on taxes. Preparation should also be included. He/she will send off all your taxes to the state as well as the federal government. An accountant can’t always see the whole picture before he/she starts. Be fully aware that hidden costs may pop up at the end once your package is all said and done. Some may also charge you for a consultation fee over the phone or email. While most don’t do this, it’s something to ask about. Take a look at the size of the firm. Are you going to be working with one accountant, or are you going to be working with a firm that hires countless accountants? Smaller firms are going to be able to give you more of a one-on-one attention. Ask the accountant what he/she specializes in. Each accountant will have their own experience in a certain industry. It’s wise to find one that can work with your needs. Ask them about their qualifications as well as look into the reputation of the firm. A quick search online can yield some rather good results. Keep in mind that some accounting services can be unqualified. A CPA has passed a rigorous exam and will be licensed by their local state. If your tax return isn’t too complicated, you may want to consider doing it yourself. Packages, such as Turbo Tax and H+R Block, can run you around $50 while a few hours of your time. Sleeter.com, for example, shows you how to prepare your 1099 online. 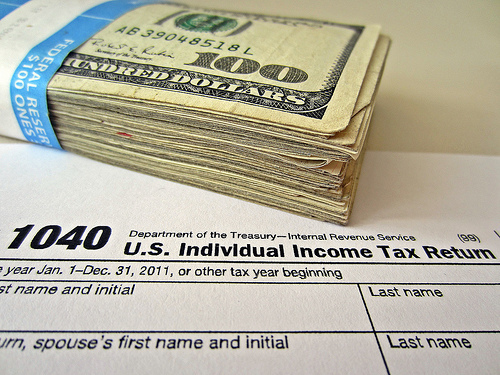 The IRS allows you to file federal taxes for free if you meet certain requirements. Follow the link to see if you qualify. If you meet a certain income level, there are many non-profit accounting programs that will prep your taxes for free. Refer to your local city to see if there is something there for you. By working with the same CPA year after year, you may be able to get a discount. Remember CPAs will charge by the hour. If you’re unorganized, you’re going to spend more time with them, so with that being said, make sure you show up to the meetings with everything in order. A good firm will give you a quote in person or over the phone. Try your best to get at least three quotes before choosing a professional.